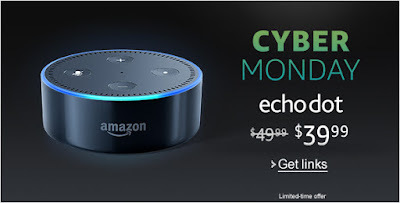 Cyber Monday Deals Week starts today! Loved Black Friday? You won't want to miss our deals today and all week long, with new deals starting every 5 minutes. Prime members get early access to Lightning Deals for Cyber Monday and throughout the year. And don’t forget, with Prime you also get unlimited Fast, FREE Shipping, unlimited streaming of movies, TV shows, and music, free e-books, and much more. Join Prime today!